Assembled puzzle measures 481 x 341 cms, 19" x 13.4"
From renowned jigsaw/toy makers, Schmidt. 500 pieces puzzle. 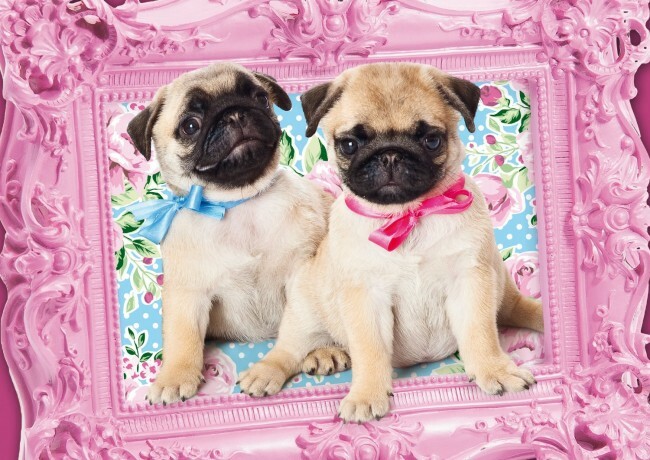 Featuring cute pugs.